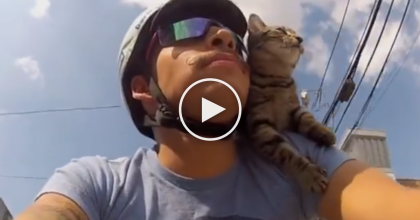 This cute little tabby kitten is so sleepy that he can’t even tell his humans petting his tummy and messing with him, but he’s gotta be one of the cutest little itty bitty kittens ever! 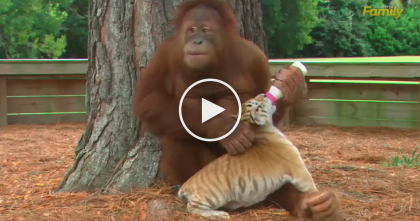 Kittens have got to be the cutest animals EVER… your heart will melt when you see this! 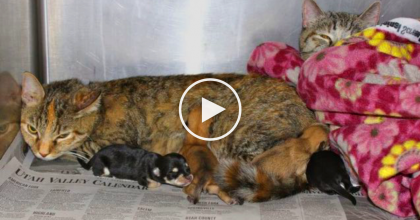 Mama Cat Does Something Very Special For Some Abandoned Puppies. 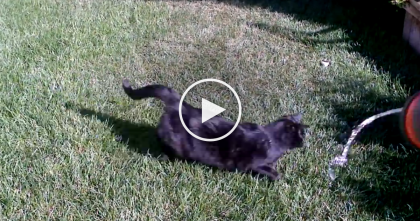 They Got A New Kitten, And Boy Oh Boy, Is He The CUTEST Thing EVER…Watch.